GlobalFXClub is part of Wright Time Capital Group, started in 2011. Their mission is to provide deep analysis of the foreign exchange market. Their strategists and analysts have a lot of experience, they successfully converted their trades opportunities into profit. They can teach you how to make your strategy stable when you trade. You know that every detail is important at the forex market including the psychological factors, strategies, correlations and other things. You will see how really work the Fibonacci levels, MACD, RSI and many other important indicators. With their membership service, you will receive exclusive access to the Wright Three Tier System®. For this trading strategy they use the theory of Elliott Waves (read more about Elliott Waves theory), the Ichimoku Cloud and Moving Average. With their strategy, you can filter out false moves in a way that increases the accuracy of trades. It is very important to know where is the strong levels, how to market really moves and what to expect from certain currency pair. If you wonder how much how many pips can you make or how many pips do they aim for each month, so i will tell you. They want to make profit as many as they can, but the average is minimum 400 pips. Their goal for each quarter is over 1,000 pips. It is very important what is the volatility at the market and whether there is a currency trend. You can make a lot of money with them. 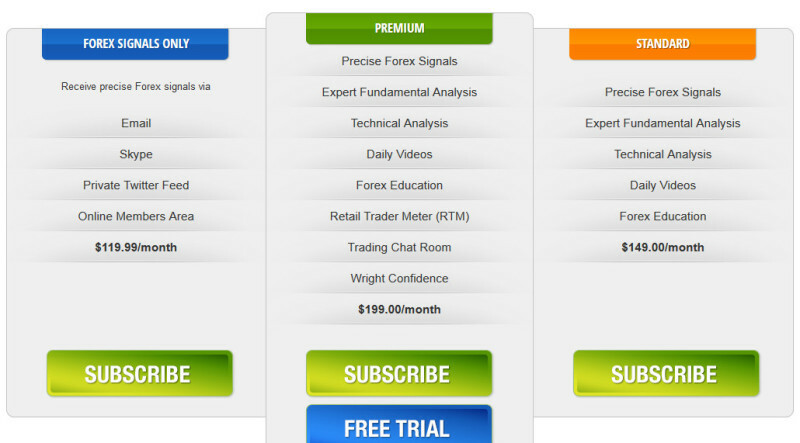 You can try out their Premium service plan with 14 days free membership access, so you can see how really work GlobalFXClub analysis and their signals. In this trial period, you can chat about the markets, you can get feedback for your orders, it is available 24 hours, 6 days a week and the good thing is that you can cancel your membership at any time during your trial.